We would like to share some information about legalizing of marriage in Japan, since this is one of the most asked questions by our couples when planning for destination weddings in Japan. 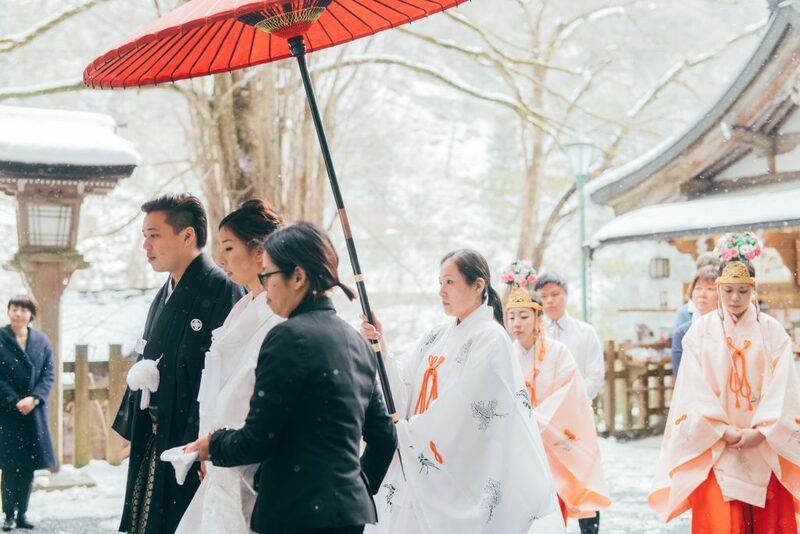 For wedding ceremonies held in Japan, the wedding officiants you see at weddings in Japan are usually hired to conduct the ceremony. The marriage is not legally recognized at the wedding ceremony, even for the Japanese. For the locals, they can simply head over to any city wards and submit a form with both the bride and the groom’s particulars, endorsed by 2 witnesses representing each of them – and they would be legally married, on the spot. As for foreigners, to be legally married in Japan, the process is slightly more tedious. It is necessary to obtain the “Certificate of No Impediment”, with several other identification documents (eg. depending on your country of origin), to be endorsed by the embassy, and submitted to the local government office thereafter. These documents will need to be translated and if possible, it will be good to have a Japanese speaker during your trip to the Government Office as most of the time the officers there may not speak English or other languages. Additionally, after the local government has recognized the marriage, no certificate will be issued unless upon request. Hence if you would like to get one for keepsake, please inform the government office and you will be required to head back to the office to collect the certificate about a week later. In any case, we would recommend to get this certificate, in order for you to bring it back to your home country to update your marriage status. In most cases, you will need to translate the document back to your mother language, and have it endorsed at the embassy at your home country again. Prior to your trip, be sure to check exactly what documents you may need to bring along and prepare before your trip, as most of the time, these documents have to be the original documents. Anything lacking, the government office may not acknowledge and endorse the marriage. We would recommend couples to stay within or at least nearby the city you are planning to do the ceremony at least 3-4 working days before the wedding for these trips to the embassy and office, as most embassies have pretty short consultation hours, and endorsement of documents may not be immediate. Hope these information are helpful! If you require any assistance regarding this, please feel free to contact us HERE for more information.